Political parties in Scotland should commit to a national strategy to help businesses and consumers reduce and manage their demand for electricity, environmental and energy groups have said. WWF Scotland and Edinburgh-based company Flexitricity have stressed that implementing a concerted strategy regarding electricity consumption would mean Scotland could avoid the need to build expensive new fossil fuel power stations and more rapidly cut climate emissions. The groups also asserted that such a strategy must go beyond energy efficiency, and include measures to increasingly tap into the vast existing "invisible" power network of industrial, commercial and public sector organisations. Demand response measures would allow energy users such as universities, banks, supermarkets and datacentres to act as "virtual power plants." By voluntarily lowering their demand for electricity, these businesses and organisations would help avoid the need to turn on conventional power stations. 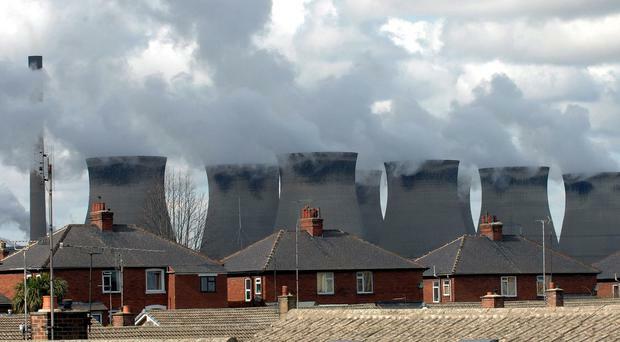 Gina Hanrahan, climate and policy officer at WWF Scotland, said: "It's far cheaper to reduce our electricity demand than it is to build new power stations that are only used for short periods of time. "If we want to cut consumer bills and lower climate emissions then demand reduction must be a central part of any future energy strategy. Scotland's political parties need to commit to a national strategy to help consumers and businesses cut their demand for electricity by at least 1 per cent a year to 2030. "The public might be surprised to learn that their local supermarket, university or business could already be part of a small but rapidly expanding network of 'virtual power plants'. However, by using 'smart grid' technology to temporarily lower the electricity consumption, unnoticeably, at hundreds of smaller locations we can avoid the need to switch on massive polluting fossil fuel power stations. Alastair Martin, chief strategy officer of Flexitricity, said: "We used to think of electricity purely in terms of nuclear, coal and gas. It's now time to think of renewables, energy efficiency and demand response. The technology needed to create a low-carbon, low-cost and secure electricity future is already there. "Scotland is already the European leader in demand response. By committing to a comprehensive strategy to reduce energy demand, Scotland can increase its competitiveness while making best use of its indigenous renewable resources and alleviating fuel poverty." A Scottish Government spokeswoman said: "Energy efficiency is a priority for the Scottish Government and has been designated a National Infrastructure priority with cross-party support. "We have already increased investment in domestic energy efficiency - investing a record £119 million this year in the Draft Budget. And since 2009 we have allocated over half a billion pounds on Fuel Poverty and Energy Efficiency programmes. "Since 2008, nearly one in three households have installed energy efficiency measures to benefit from warmer homes and lower energy bills and we are continuing to take action. "Earlier this year we announced a programme of work to produce an over-arching energy strategy for Scotland, taking us up to 2030. Reducing energy demand is one important aspect of this work." Labour has deleted a Passover message on social media after it came under fire for featuring a loaf of bread.